Barcelona is an avant-garde and alive city, offering tourists not only a great variety of attractions and entertainment, but also a wide range of hotels. Barcelona hotels, guest houses, B&B, hostales, residences and “rooms for rent” are common in all districts of the city. With Traveleurope hotels search engine you can book a hotel in Barcelona online at competitive and attractive prices with instant confirmation and without any advance! 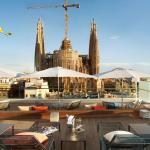 Residences and luxury hotels in Barcelona: the city's history lives in many of its types of accommodation. Barcelona is rich of old neo-Gothic style houses converted by the owners in pensions and 2 or 3 star hotels. Choosing to book a period residence does not mean paying more for the night stay: the average price of pensions and hotels in Barcelona, in fact, depend on location and season. The most expensive seasons are spring and summer, while between October and March prices, excluding the Christmas period, are a bit lower and Traveleurope can find good deals to be seized. Naturally, Barcelona offers tourists the possibility of staying in luxury suites and in 4 and 5 star hotels of all the major hotel chains. The 4-or 5-star hotel in Barcelona near Poble Nou, at the Olympic Port and Barceloneta, are equipped with the finest amenities and are located close to the sea. Cheap hotels in Barcelona centre: the economical accommodation of Barcelona, called hostales (hostels), do not correspond to our hostels. The hostales are more similar to a B&B with a good value for money. The Hostels, in central Barcelona, are located mostly near Las Ramblas, the Barri Gotic and in El Raval district: all Barcelona's strategic areas, because a short distance from the main attractions. Instead, the hostels located in the Eixample district are a little more expensive, even because the Eixample area has undergone major restructuring in recent decades, still preserving intact the masterpieces of Gaudi Pedrera (Sagrada Familia). Indeed, this area is particularly suited to gourmets because of the presence of many restaurants. For your holiday or business trip in the beautiful Catalan city, trust to the convenience and the competence of Traveleurope, agency specializing in online travel deals for hotels in Barcelona, Europe and in the world. Traveleurope helps you to find the solution best suited to your needs. 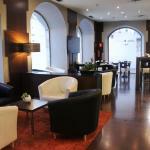 The Abba Rambla Hotel Barcelona is located on the famous Rambla de Raval, just minutes from Las Ramblas. The picturesque old town with its many tourist attractions, is easily reachable on foot. Catalonia Catedral is located in the Gothic Quarter of Barcelona, close to the Sagrada Familia. From the hotel you can easy reach Las Ramblas, the Picasso Museum, Gaudi's Casa Batllo and many other attractions. The Hotel Catalonia Princesa is located in the picturesque Gothic Quarter of Barcelona, just minutes away from Arc de Triomphe. The metro stop Arc de Triomf is nearby, as well as the Estació de França.